Is Your Church Having VBS? Now is the time to submit your Vacation Bible School announcements to NorthEscambia.com so that we can include them on our events page and let everyone know. Please try to submit your information as far in advance as possible. 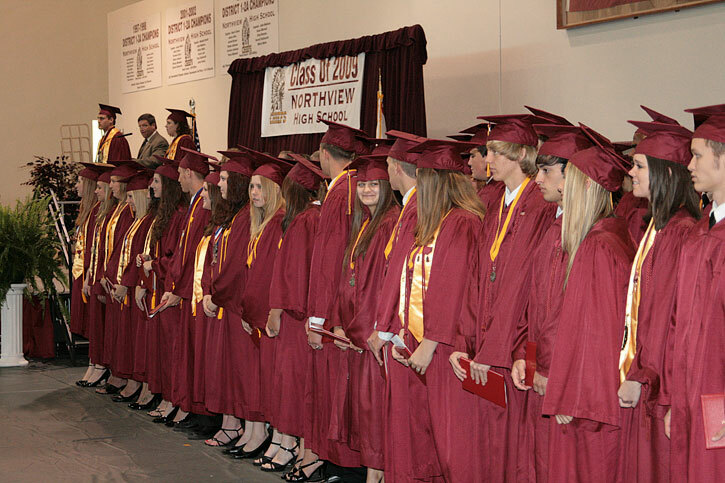 Over 100 members of the Class of 2009 graduated Saturday afternoon from Northview High School. “Let the hand of God guide all that you do,” Killam told his fellow graduates. Escambia County School Superintendent Malcolm Thomas’ address to the graduating seniors centered around their class motto. 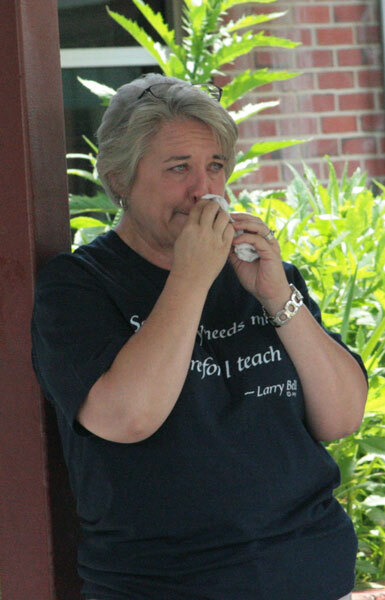 “God, grant us the serenity to accept the things we cannot change; the courage to change the things we can; and the wisdom to know the difference,” the Northview Class of 2009 Motto says. “By conquering our fears, I believe we can accomplish,” Salutatorian Lanie Jeannine Eubanks said. For a complete NorthEscambia.com photo gallery from the Northview High School Class of 2009 graduation program, plus behind the scenes photos following graduation,click here. Comments are welcome below, including comments with well wishes for your favorite graduate. 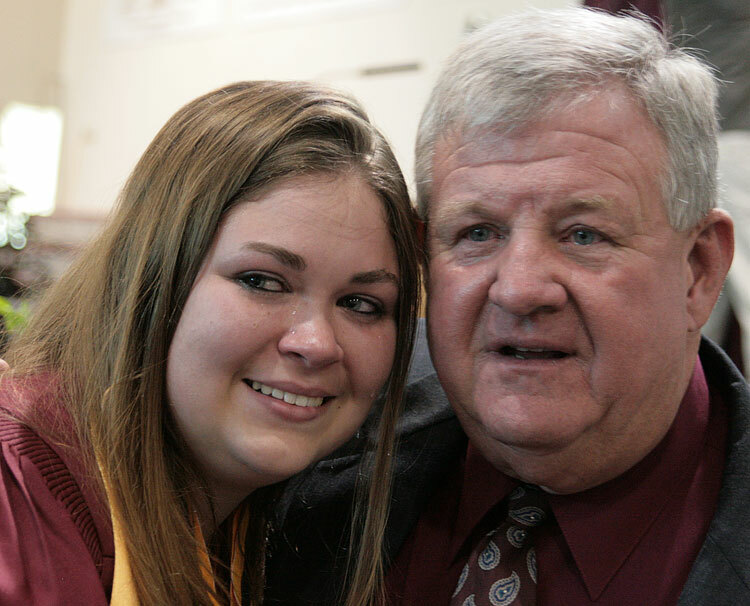 Pictured top: Graduate Jessica Mothershed shares a tearful moment with teacher Tommy Weaver following Saturday’s graduation exercise at Northview High School. 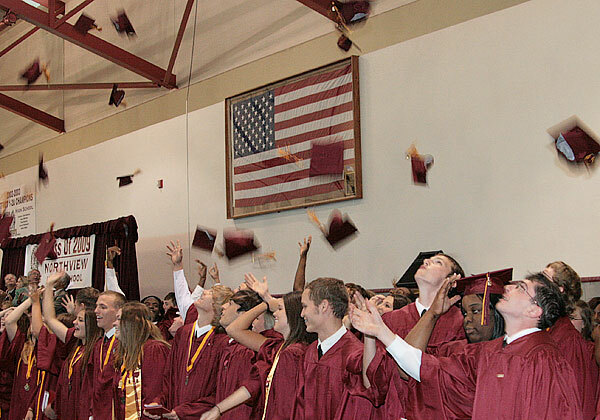 Pictured below: The caps fly following graduation for the Northview High School Class of 2009 Saturday afternoon at the school. 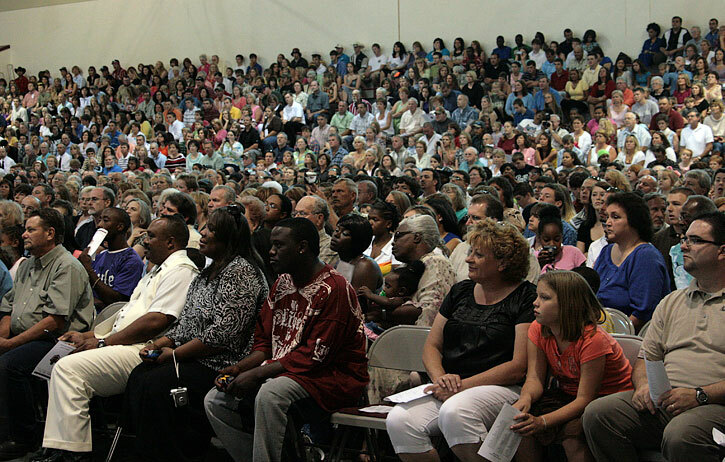 Pictured bottom: Hundreds packed the school gym while others watched a video feed in the school theater. NorthEscambia.com photos, click to enlarge. A paving project on Industrial Boulevard in Century is nearing completion. 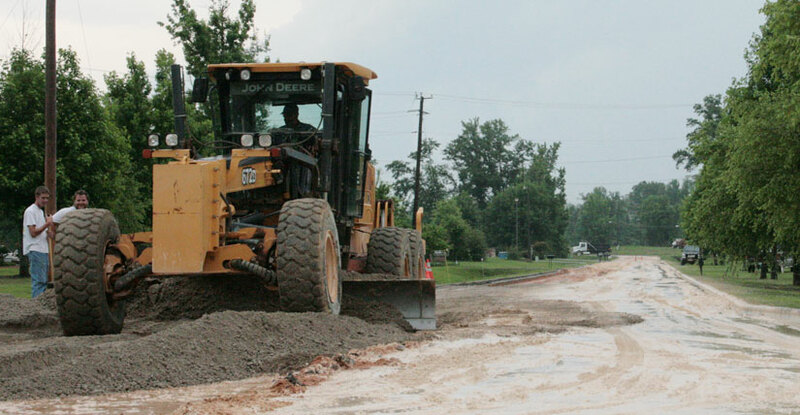 The $88,520 project by Roads, Inc. is to be paid for by a contracting company that the town says damaged the road during Hurricane Ivan cleanup back in 2004. Work on the two-tenths of mile project is expected to be completed this week. Roads, Inc. recently completed a repaving project on State Line Road from Highway 29 to Shady Lane for $128,437.30 funded by Local Option Sales Tax money. The resurfacing project has made travel difficult for those that work in the Century Industrial Park and use the Camp Fire USA daycare. Pictured above: Industrial Boulevard Friday afternoon. Pictured below: Industrial Boulevard Wednesday. NorthEscambia.com photos, click to enlarge. Escambia County Farm Bureau Women’s Committee invites bakers to bring their homemade blueberry goodies to The Great Blueberry Bake-Off, a competition held in conjunction with the Blueberry Jamboree. The first annual Blueberry Jamboree is hosted by Escambia County Neighborhoods/Community Services Bureau and Escambia County Extension Services and will be held Saturday, June 13, from 8 a.m. to 8 p.m. at the Barrineau Park Community Center, 6055 Barrineau Park School Road in Molino. Contestants may enter in any of three categories: pies/cobblers, cakes and other assorted blueberry dishes. Entries should be brought to the Barrineau Park Community Center cafeteria on a disposable plate, covered with plastic between 8:30 and 10 a.m. A copy of the recipe must be included with the free registration. Judging begins at 10:30 a.m., and winners will be announced at 1:00 p.m. Youth and adult entries will be judged together. Judges’ decisions are final. Winners will receive monetary prizes as follows: 1st place, $50; 2nd place, $30; and 3rd place, $20. For more information, please visit www.blueberryjamboree.com. The Blueberry Jamboree is sponsored in part by NorthEscambia.com. 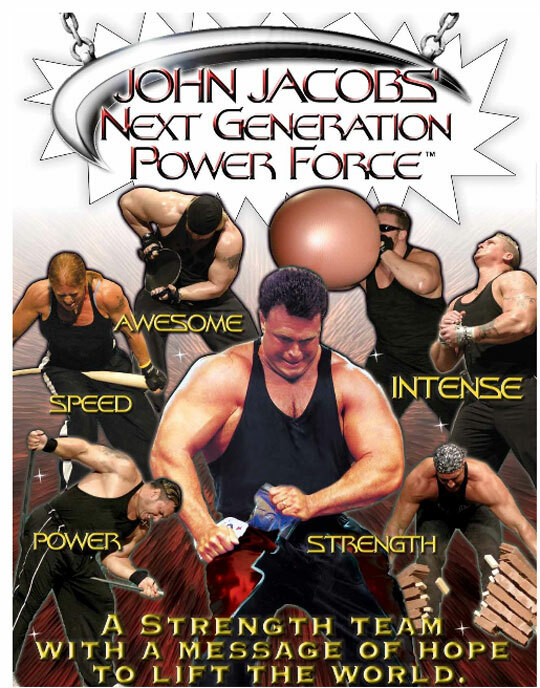 Everyone is invited to witness the amazing acts of strength of John Jacobs’ New Generation Power Force Team Sunday. The Power Force team will be at the Pine Forest Assembly of God Church on Sunday, May 31st at 10:30 a.m. and 6 p.m.
Pine Forest Assembly of God Church is located at 3125 Pine Forest Road in Cantonment. 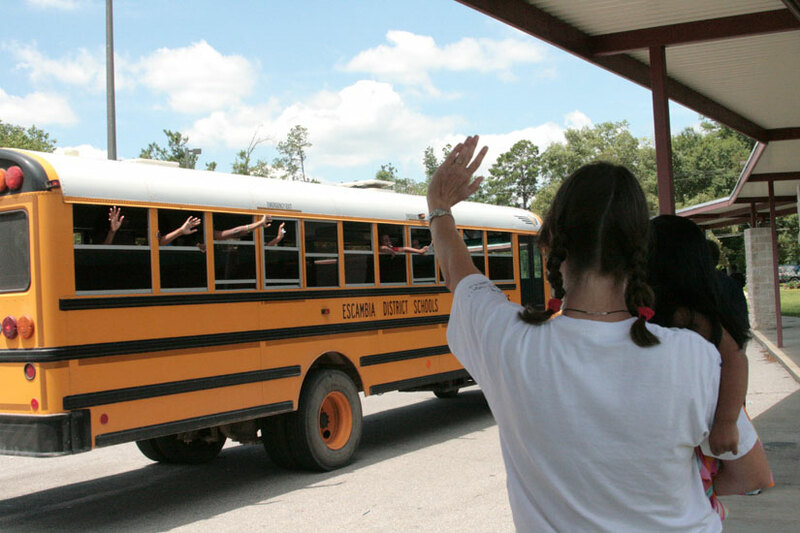 For more information call (850) 476-1378 or visit www.pineforestassembly.com. Trophies and awards were handed out during closing ceremonies for Northwest Escambia Little League Friday, including a trophy for a little boy that was never able to play ball on the field that bears his name. Two year old Drew Marlow and his dad Danny Marlow died in a January 2008 accident on Highway 97. 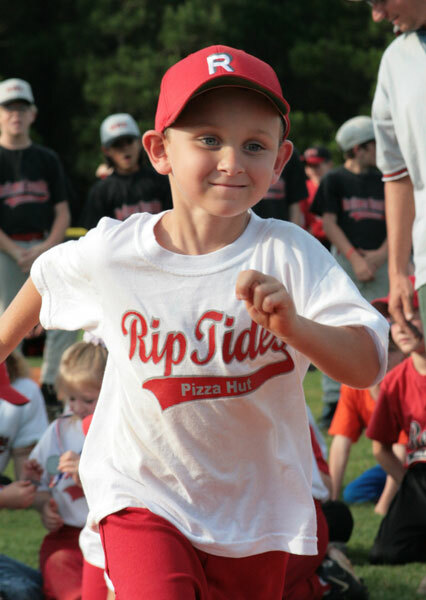 Drew’s Field was named is his honor, bringing wee ball to the Northwest Escambia Little League for the first time ever. 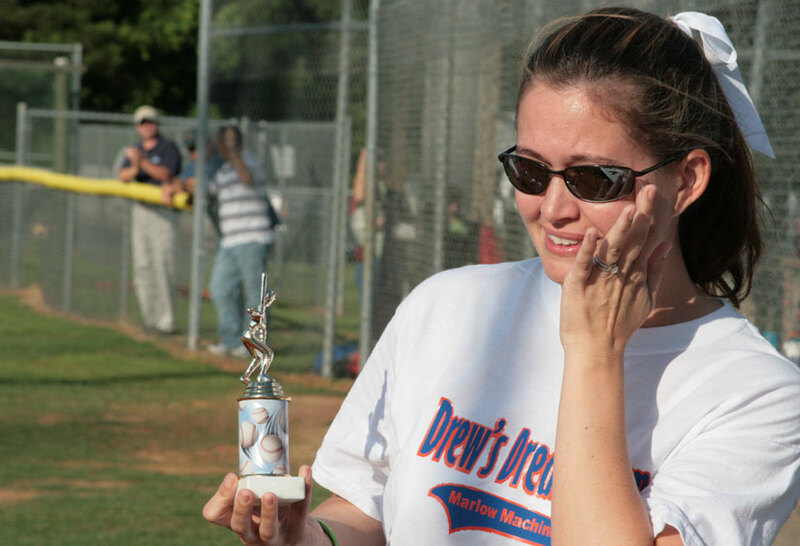 The first trophy of the season was presented to Drew’s mom Cyndi Marlow Wendt. 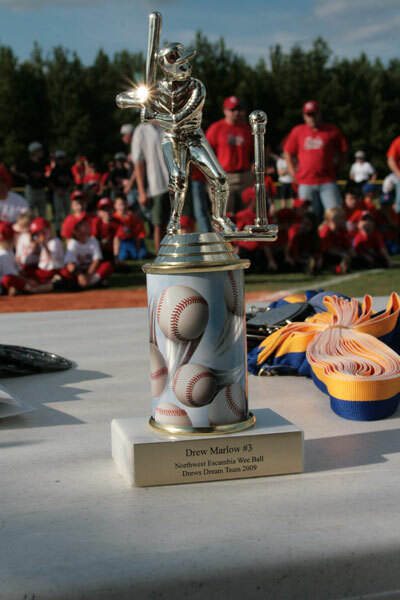 It was a tiny trophy depicting a wee ball player about to knock the ball off a tee was inscribed with “Drew Marlow #3″. The first three attempt at in vitro conception were unsuccessful for Danny and his wife Cyndi. But on the third try, they were successful. The embryo was rated as on a “3″, when typically only those rated as a four or five survive. Drew beat the odds and was born a happy healthy child. For that reason, Danny wanted his little boy to wear jersey number “3″ during his first game. All of the NWE wee ball players wore the number “3″ on their hats during the season as a constant reminder of Drew’s memory. NWE also presented other trophies and awards Friday afternoon, including their coach and volunteer of the year awards. Greg Green was named Volunteer of the Year, and Josh Long was name Coach of the Year. Steve Hanks was also recognized for 13 years of service to NWE. Each player on every team was also individually recognized. For a complete gallery with over 150 photos from the event, click here. Cntury Care Center kicked off a planned concert series “An Evening at Century’s Ole Mill Pond” Friday afternoon, hoping to make it a regular community event. The concert series was fashioned after Pensacola’s Evening in Old Seville Square, CCC Director Don Ripley said. The Century event featured free live entertainment with the sounds of soul, rhythm and blues from The Sensational Tones of Joy. 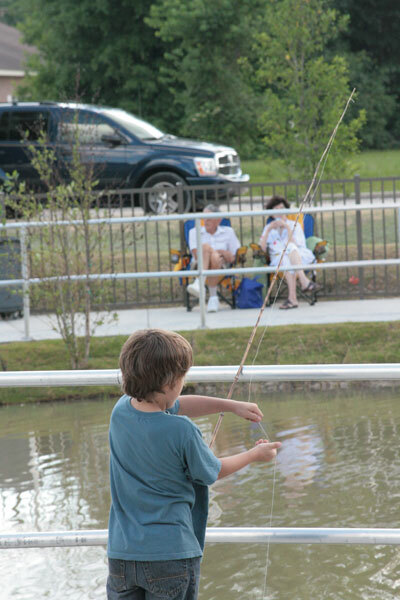 The event took place behind Century Care Center at the Ole Mill Pond, a new pond fully stocked with fish for the enjoyment of the nursing home residents. 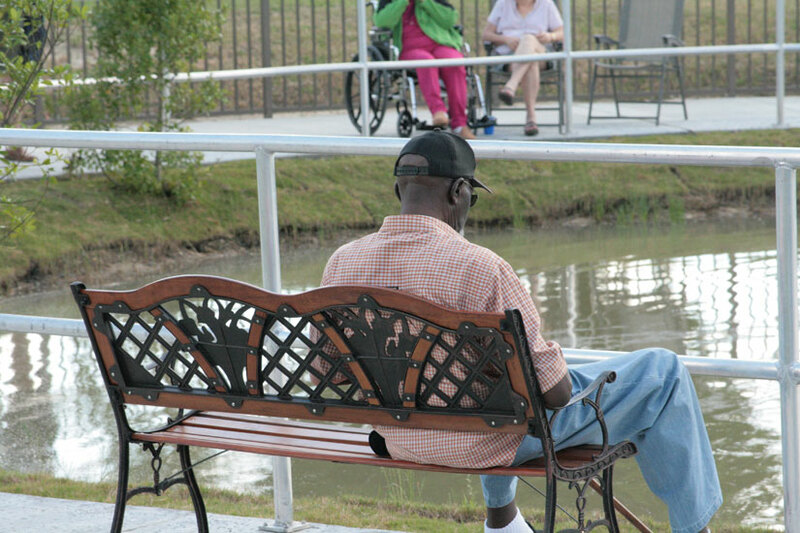 The pond was built to allow Century care residents to get outside, build their immune systems and stimulate their minds and bodies. 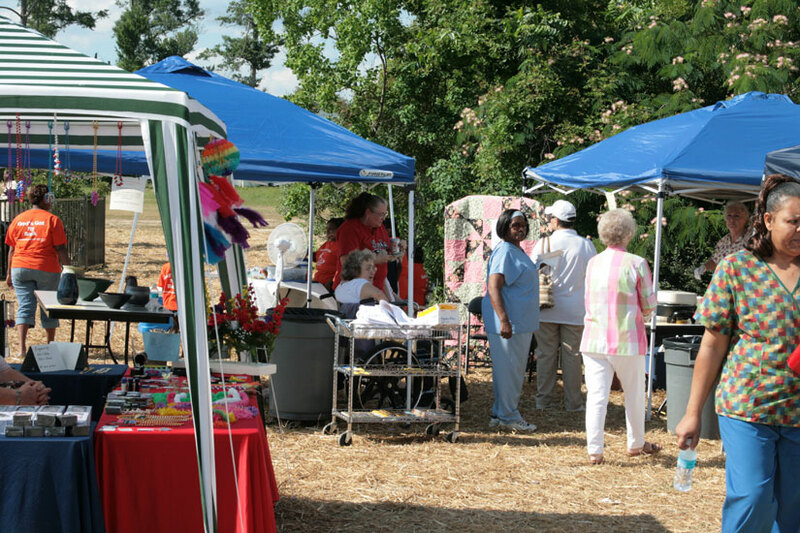 The pond was built with a grant from the Agency For Health Care Administration. Pictured above and below: Scenes from An Evening at Century’s Ole Mill Pond Friday at Century Care Center. NorthEscambia.com photos, click to enlarge. 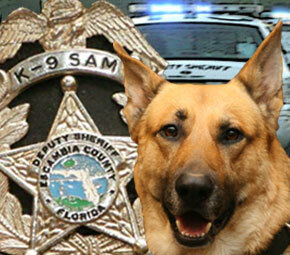 The Escambia County Sheriff’s Department K-9 units are officially back on the street after a month-long absence. Sheriff David Morgan announced Friday morning that the unit was reinstated following actions taken to correct problems identified In Department of Justice probe into the use of the dogs. In late April, Morgan pulled his department’s K-9 units off the streets following findings released in a that DOJ investigation. The K-9 stand down included the use of dogs for both suspect apprehension and drug searches. But that did not mean Escambia County has been totally without the assistance of K-9 officers. The City of Pensacola offered the assistance of their K-9 officers when needed. 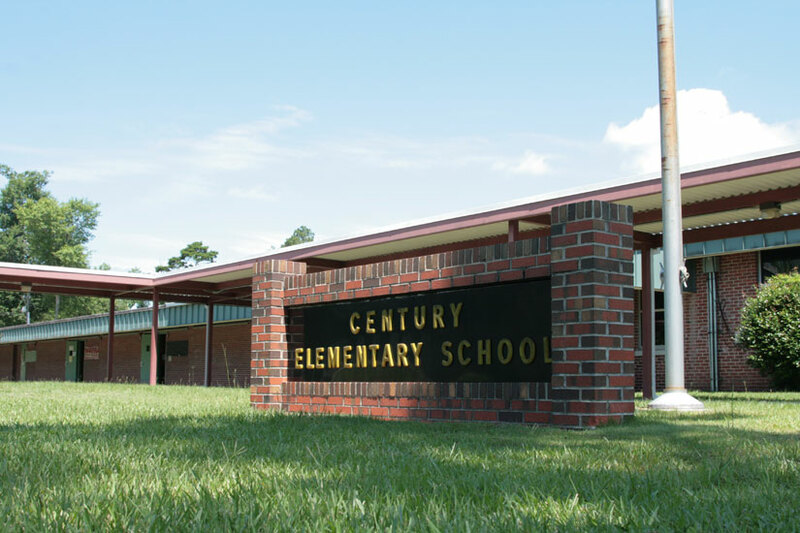 In North Escambia, deputies could still request the assistance of the K-9 unit from Century Correctional Institute. The DOJ investigation into the sheriff’s department, which the DOJ announced three days after Morgan was sworn into office, stemmed from allegations of excessive force during the administration of former Sheriff Ron McNesby. Pictured above: The Escambia County Sheriff’s Department K-9 Unit poses Friday morning after Sheriff David Morgan announced that the unit had be reinstated. Submitted photo by Rebecca Evans for NorthEscambia.com, click to enlarge.